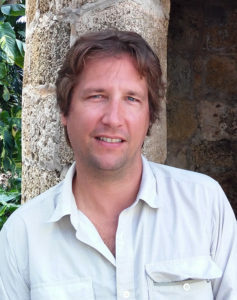 Professor Paul Niell received two grants in 2015 for summer research in Puerto Rico: a grant from the Committee on Faculty Research Support (COFRS) in the Council on Research and Creativity at FSU and a Franklin Research Grant from the American Philosophical Society. These awards supported over two months of fieldwork and archival research toward his second book project, Landscapes of Reform in Nineteenth-Century Puerto Rico. The study examines various rationalizing changes to the built environment of Spanish Colonial Puerto Rico in the nineteenth century. He considers the relationships between these transformations and developments within the Spanish imperial state, efforts to make Spain’s Caribbean islands into export-intensive sugar producers, and attempts to reform the Crown’s subjects and foment more efficient economic practices. Prof. Niell’s work will consider the proponents of reform in nineteenth-century Puerto Rico and the various individuals and groups, including slaves, who found themselves caught in its web. Landscape studies become an effective means of addressing the experience of reform, as landscape is taken to mean a subjective process by which human cultural environments are made and understood. The project is also informed by theories of the senses, post-colonial theory, and material culture studies.